Number patterns using a different operations in the same pattern. 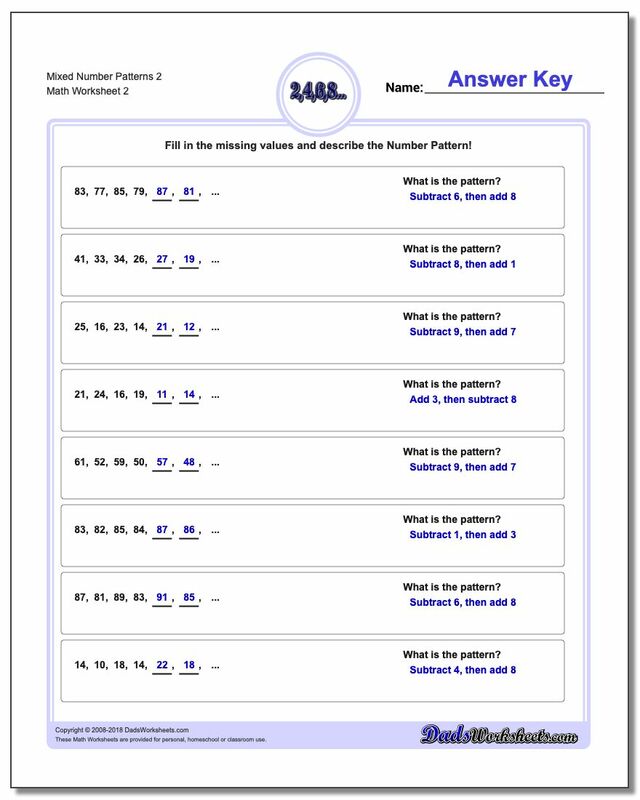 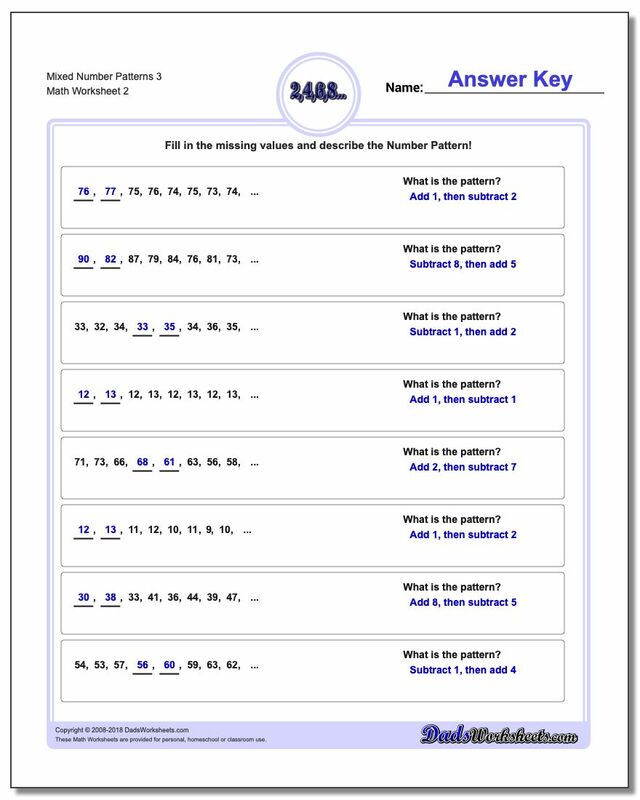 The number pattern worksheets on this page are similar to the 'two step' pattern worksheets found separately in the addition and subtraction number pattern worksheet pages. 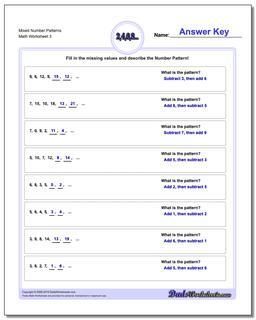 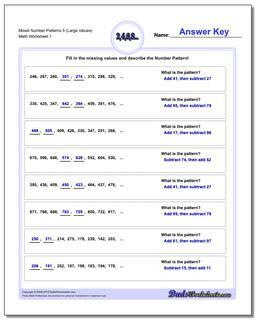 Each of the number patterns on these worksheets has a rule that involves alternating steps. 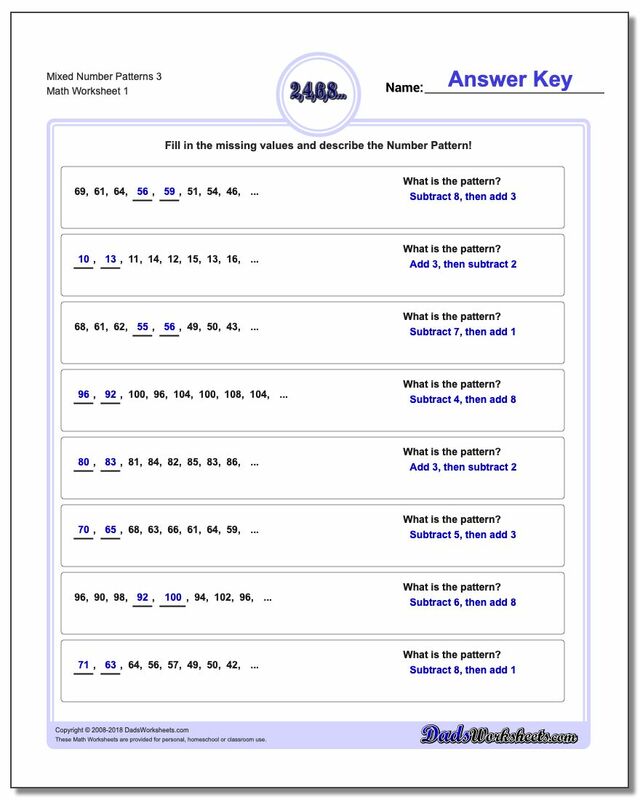 A student should work these problems by first computing the difference between each pair of numbers in the sequence part of the problem, and then the corresponding two step rule will be readily apparent. These are more advanced problems that are better suited for 5th grade and 6th grade students.